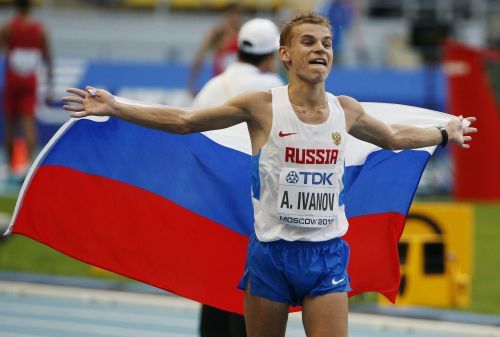 MOSCOW (AP) — Russian race walker Alexander Ivanov was stripped of his 2013 world championship title after being found guilty of doping, the country's track federation said Friday. Russia originally topped the medals table on home soil at the 2013 world championships, but has now been stripped of all but three of its seven gold medals. Besides Ivanov, hammer thrower Tatyana Lysenko, high jumper Svetlana Shkolina and the women's 4x400-meter relay team have been disqualified for various doping offenses.